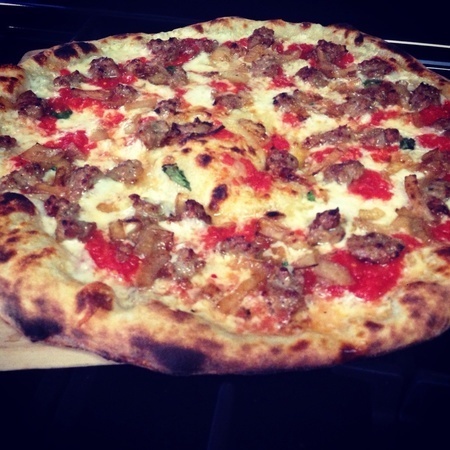 Sausage, onion, provolone, basil, San Marzano. 15% starter, no yeast, 3 and 1/2 day rise. 3 minutes on cleaning cycle. This was one of the best tasting pies that I have made in a while. Wow that's a beautiful pie. 3.5 day rise? You're a patient person. Do typically use starters? I always use a starter regardless of time. It give great flavor and crumb. 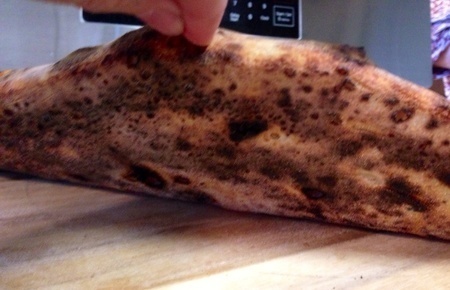 I knew that I wasn't making pizza for a few days so I went without the yeast. The key is to leave it out of the refrigerator several hours to proof before baking.